Port Grimaud : A Waking Dream ! An exceptional seaside town, born in the mind of a genius architect. 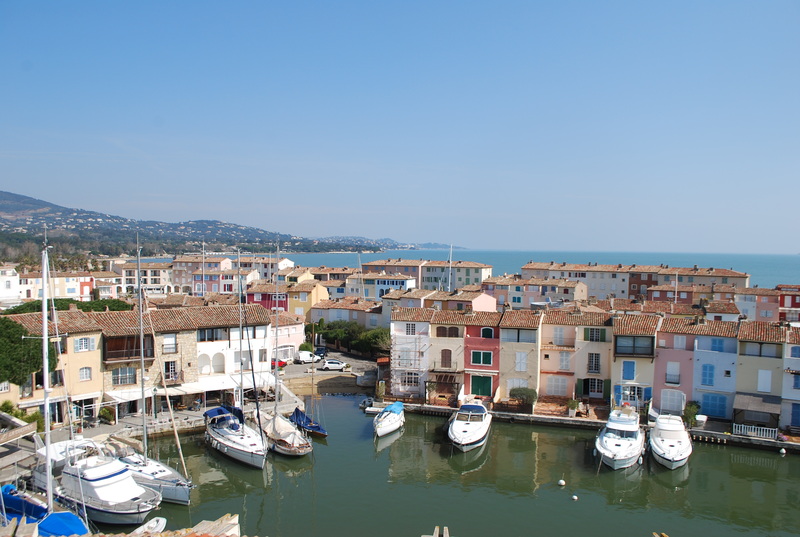 A small, colourful, Provencal « village » offers all the advantages of a private community combining safety, privacy and friendliness in a locale made for boat lovers… this village is Port Grimaud. Port Grimaud, often called the « Venice of Provence », is a private seaside town located in the heart of the Gulf of Saint-Tropez, France. It is located in the commune of Grimaud, in the Var Department. For its residents, Port Grimaud is heaven on earth. For others, it is the dream of a lifetime. Only by spending time in Port Grimaud, at least a few days with a view of its canals, can we understand that. Port Grimaud was conceived, designed and built by François Spoerry, a sea-loving architect from Mulhouse. In 1962, he acquired the marshy lands on which the Seaside Town was built and perfectly integrated into the Mediterranean environment. The building permit was issued on June 14, 1966 and this founding date so named the first building « June 14 Place ». In 1967, the first houses were delivered and life began in Port Grimaud. Construction was completed in the early 2000s. Thus was born a seaside village facing the sea, with colourful facades and Roman tiles, fantastic streets following the wind or sun, a place where every house has its own mooring. Port Grimaud is a living town with a church, shops and services. Since 2001, the seaside village of Port Grimaud is a UNESCO « Twentieth Century Heritage ». This unique property complex that spans 90 hectares represents a total of 2,400 units, more than 2,000 moorings, 7 km of canals, 12 km of quays, 14 bridges plus a boardwalk, as well as 12 islands. Considered a real village or real commune by many, Port Grimaud is actually an immense co-op, but with absolutely all the characteristics of a « mini-commune » even its own rules of procedure. « Venice » in Provence divided into three boroughs. The evolution of the town’s construction naturally defined three « boroughs » : Port Grimaud I, Port Grimaud II and Port Grimaud III, managed by three separate and autonomous union associations. Historically, Port Grimaud I is the first of François Spoerry’s achievements and his largest : 22 hectares of land and 13 hectares of water. 1,108 co-op lots, 834 berths including 250 public docks reserved for passing ships or yearly tenants. The union council of Port Grimaud I takes particular care to ensure respect of the architectural coherence created by François Spoerry, be it choosing façade colours or constructions that could alter the outer appearance of houses or shops. All modifications must be authorized by the union association, who then receives advice from architects. They are equipped with an association for information and property owner advocacy. Quality of life and environmental preservation are also not neglected, by land with an electric car transportation service, or by sea with a fully electric resident transportation service. Greenspace is maintained without chemicals and waste collection works efficiently in all boroughs. The union council is also guarantor of preserving traditions of the seaside town with notably, every August 15, Sea and Fisherman’s Day that includes a mass held in the ecumenical church of St. Francis of Assisi, which has magnificent Vasarely stained glass windows representing the solar cycle. After the ceremony, a procession of boats follows the priest as he blesses boats docked along the canals all the way to the harbour entrance, where he lays a wreath for missing sailors. Deceased in 1999 at Port Grimaud, François Spoerry now rests in a tomb at St. Francis of Assisi church. Cette entrée a été publiée dans Curiosités de Port Grimaud, English le 10 mai 2015 par Boutemyblog.